For those that use gedit or any other GTKSourceView based text editor, please find attached the language spec file for x86/x64 asm. Simply copy to the /usr/share/gtksourceview-2.0/language-specs folder on your system and restart your editor. 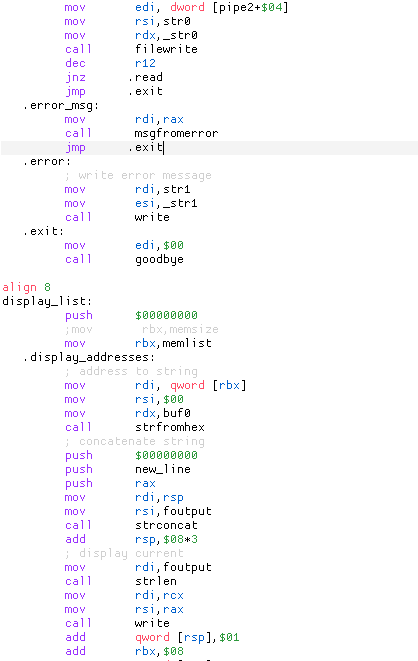 You should now have syntax highlighting for asm. For more recent versions of gedit (eg v2.20) which use custom style templates, included is a style def based on the Oblivion style. PPS. if you have gtksourceview-1.0 and not gtksourceview-2.0, copy it there instead with all the other *.lang files. 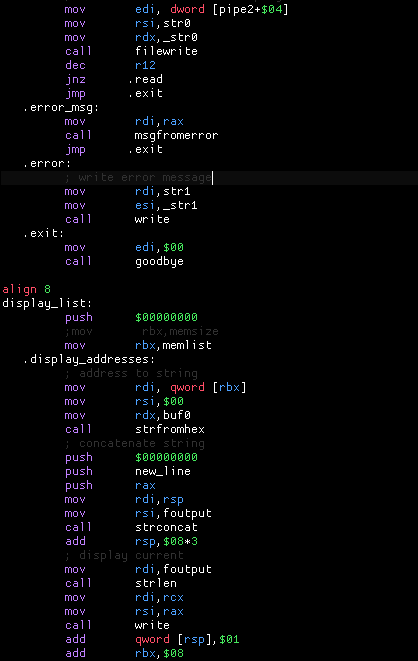 I made a color scheme and a language syntax file for FASM. To install the language file, you can try running the 'install.sh' script. It may work for most Linux distributions. To install the color scheme file - and you must install it to see any highlight - just go to your editor (pluma, gedit, etc...) and add it from there. The color scheme files are those with 'xml' extension. To change syntax rules just edit the 'fasm.lang' file. To change colors edit the XML files named 'samarha(_white).xml'. File is attached to this post.